The dingo and trencher is also supplied with a 4 in 1 Bucket for back filling. 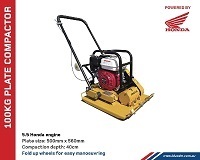 Used For: Digging trenches in soil, roots, clay, sand, limestone, rock, bitumen and shale. 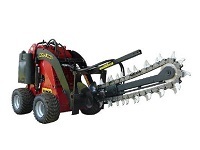 The Dingo trenching system easily outperforms all pedestrian trenchers. It’s hydraulic system ensures power is transferred to the digging chain. and you will have the best possible cut. We deliver and pick up for $22 all up within a 10km radius in local Mandurah. Call for a transport quote if you are outside this area.